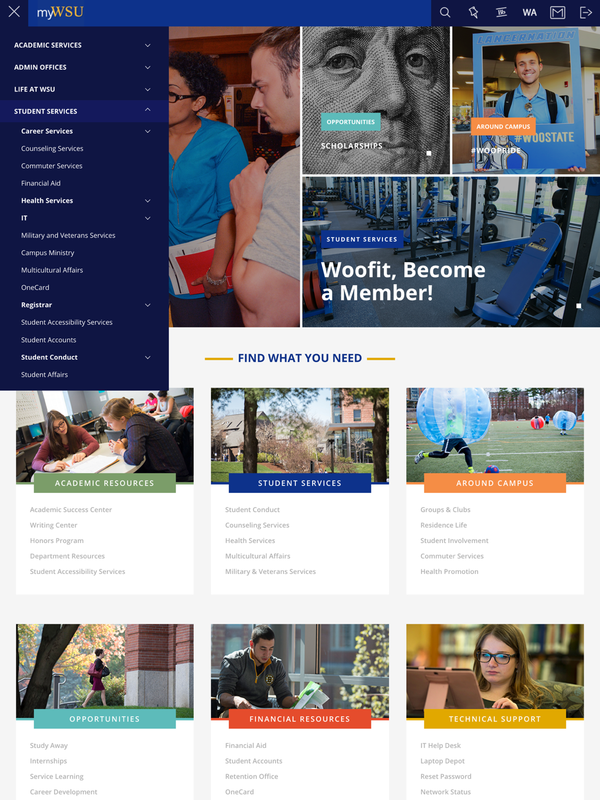 MyWSU is a private website that is only available to the Worcester State University community and was designed with the current student in mind. 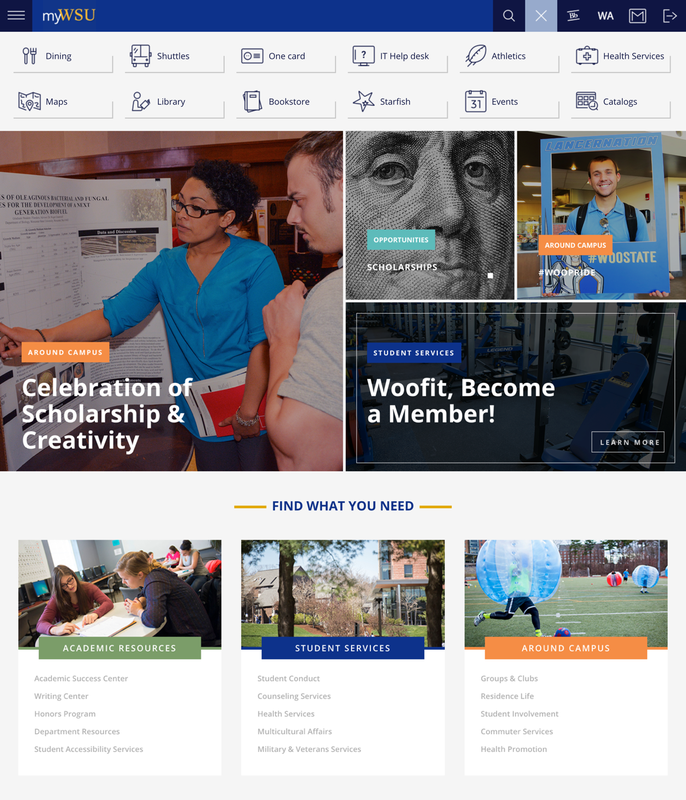 The myWSU portal employs a full-width dashboard approach that supplies students with both a “resource portal” and a “bookmark” for the latest news and events around campus. 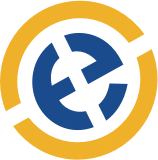 The website is fully interactive, with compelling photography, messaging and animated micro-interactions. 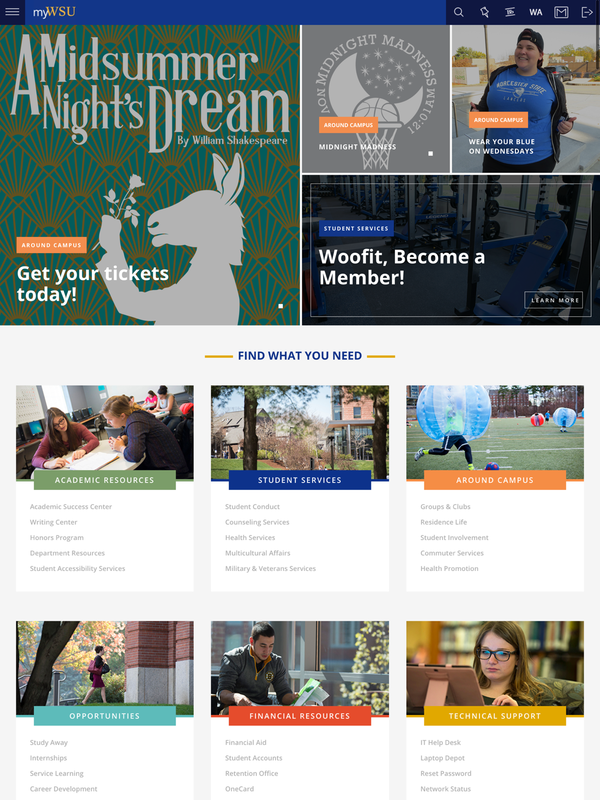 Moreover, it aggregates WSU’s Instagram feed right onto the landing page, further emphasizing the community atmosphere that is central to the success of the site. 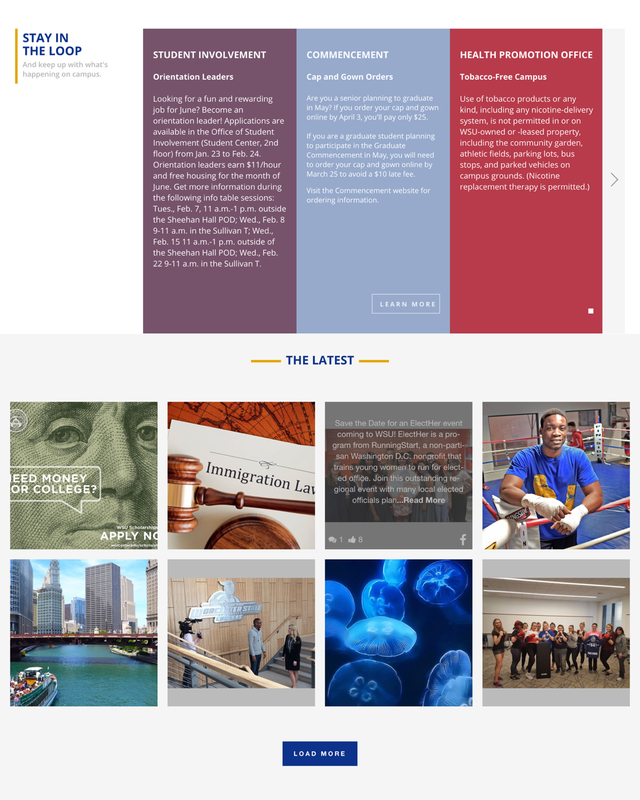 This new design approach makes it easy for students to navigate through the different resources of my WSU portal.